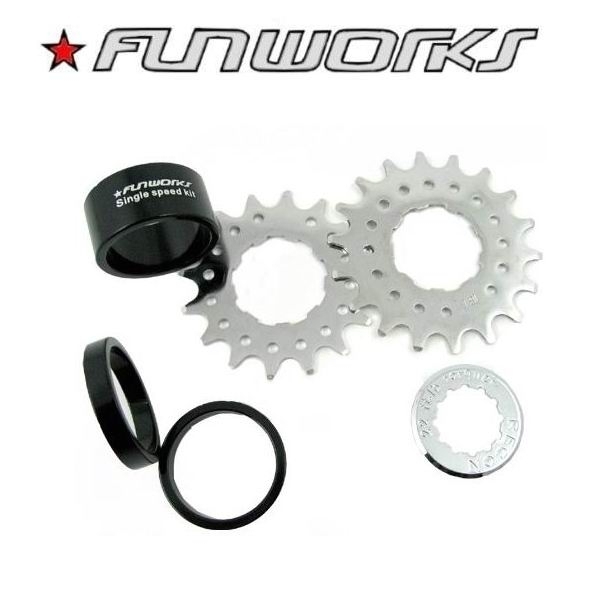 Product information "Fun Works Single Speed Kit / Adapter incl. 2 Ritzeln"
eine normale Nabe in eine Singlespeed Nabe um. Related links to "Fun Works Single Speed Kit / Adapter incl. 2 Ritzeln"
Customer evaluation for "Fun Works Single Speed Kit / Adapter incl. 2 Ritzeln"